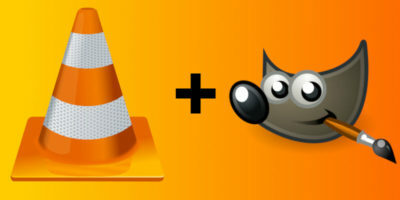 If you like photo editing, chances are you’ve probably heard of the program known as GIMP. 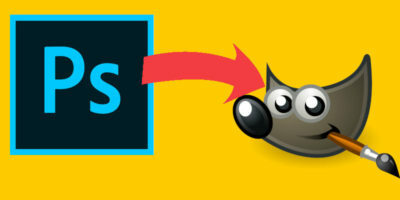 It’s a well-known, free and open-source alternative to the extremely popular Adobe Photoshop. It’s a good program, but it isn’t exactly the most modern looking. Let’s just say that the user interface needs some modernizing. One of the things that probably needs to be updated the most is the icon theme. It doesn’t look very good, and at times the icons can be hard to read. Introducing Flat GIMP. This is an icon theme that takes the existing GIMP interface and updates it – makes it look a little bit more modern and relevant-looking. 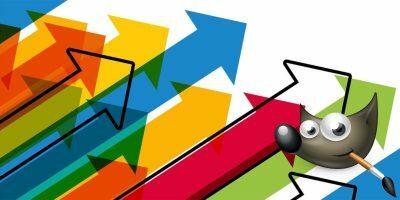 If you have been looking for a more updated icon theme for GIMP, you might want to read further. This is most certainly relevant to your interests. 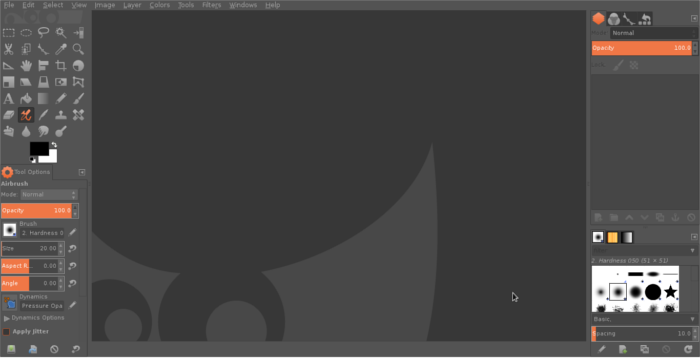 Download the flat GIMP archive file here and extract it to a folder. After that, go inside it and find the “GIMP_Orange” folder. Inside the “GIMP_Orange” folder, you’ll see several more folders. These are all theme files. For Mac, go to the “Applications” folder in Finder. After that, right-click on “Gimp” and select the “Show Package Contents” option in the context menu. Once you’ve done that, move all of the folders inside the “GIMP_Orange” folder (as well as the “Decor” folder) to “Contents/Resources/Share/gimp/2.0/themes/”. 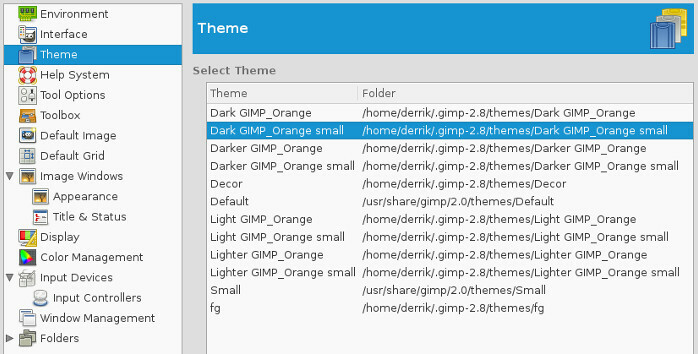 For Linux, copy all the contents in the “GIMP_Orange” folder, and place them in “~/.gimp-2.8/themes/”. You’ll also need to place the “Decor” folder in this directory as well. For all the operating systems, once you have moved the folders to the respective location, launch GIMP, click the “Edit” menu at the top of the window and find the “Preferences” option. This will launch GIMP’s options and settings window. Find the theme you want and select it. Soon after your new theme will be active. Note: you may need to restart GIMP for the theme to take effect. GIMP is an awesome application with a lot of compelling features to choose from. Still, as great in function that this program is, its look needs to change for the better. It needs to be a little bit more modernized. It’s a good thing that GIMP is open source so that creators can take this kind of thing into their own hands. What’s your favorite theme in the flat GIMP compilation? Tell us in the comment section below! I looked all over the page for the download, but could not find any place to actually download the program. Thank you so much for featuring my them and for the kind words. The window tabs on the theme on my computer are still grey, is there any way for me to change that?